Mobile video ads have always been a dream of digital marketers, but the timing has never seemed right: The internet connection is too slow, the targeting is off, they’re not as engaging when they’re not on television. For a hundred reasons, video ads have been slow to hit it big, but they’re gaining popularity now, and for good reason. Some apps have been able to master video ads and prove—and improve—their effectiveness. Newer indie game Crossy Road has proven very profitable for developer Hipster Whale, and the industry has taken notice. Crossy Road made over a million dollars in revenue through incentivized video ads by organizing their in-game economy to strongly incentivize players to watch ads for in-game currency. Because of the nature of incentives, these views tend to be lower quality than other ads, but are very effective at extending reach. However, this method of incentivized video ads can be difficult to properly utilize outside of the context of mobile games. For apps where an incentive isn’t readily available, there are “playable” ads, which let users “test drive” an app through a virtual emulation. These ads tell consumers about an app and its features, then hand control to the viewer, allowing them to try out the app directly on their phone without having to install anything. Thanks to the use of a virtual server, consumers get a feel for the product directly after viewing the ad, solidifying the link between the ad and the product. mNectar, a provider of virtual ad services, says these playable ads are much more effective than traditional ads. With the introduction of video posts to Facebook comes a whole new avenue of engagement for users—between each other, and between users and advertisers. According to a blog post by Facebook, the number of videos posted to the platform has increased by 94 percent. Now Facebook records a massive three billion video views a day for videos uploaded by users. With this burgeoning influx of content and traffic, the news feed has now become much livelier than ever before. In fact, Facebook has begun to catch up to YouTube in terms of shared videos, and evidence shows that it may even be taking users from them. 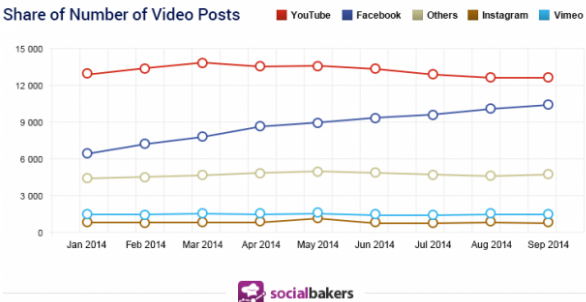 Given this huge increase, Facebook is set to become the new video advertising powerhouse. While users do see many sponsored video posts and video ads in their feeds, video ads have not yet realized their full potential. Facebook has not quite dialed in its formula for video ads yet, despite their commonality and proven effectiveness in other apps and games. Facebook’s task is to find a balance of organic content and premium ads that is both profitable for them and effective for advertisers, but does not overwhelm organic user content. Some have questioned Facebook’s staggering video statistics—and for good reason. YouTube is primarily accessed through its own front page and interfaces with Google’s search algorithm, meaning video views do not often happen accidentally. Videos on Facebook, on the other hand, are primarily watched in the user’s news feed, and have not been actively selected by the user. (Any advertiser who has run a CPM campaign will be familiar with the problem of sorting interested eyeballs out from the chaff.) While the auto-play feature is generating views, they cannot all be counted as interested views, and in fact may be shown to users who don’t fit in the target demographics. 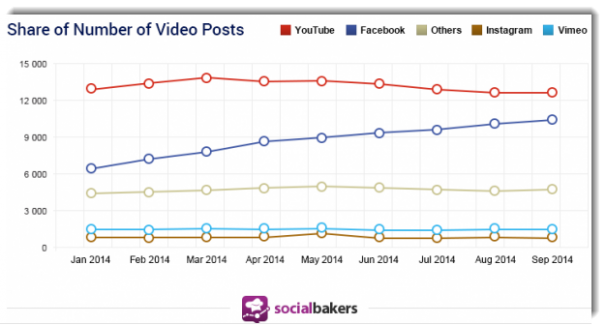 To help correct this problem, Facebook has revamped its video view metrics. Users can now see reporting on their videos’ average viewing time, unique views, audience retention, and more. This engagement data will help marketers decide how to structure their video ads, when and where to place critical messages, and track the efficacy of their campaigns. Additionally, Facebook has redefined a view: Now, a view only takes place if a user sees three seconds or more of the video. Because videos are muted in auto-play, enticing visuals are important to getting users to actively view the video. Just like any sponsored post on Facebook, users can optimize video ad campaign with a wide assortment of parameters and tools, depending on the campaign’s needs and budget. Using Interest targeting, marketers can focus their ads on groups that have liked specific activities or interests on Facebook, similar to the current targeting available for app install or like campaigns. Audience and Demographic tools help narrow the campaign’s focus to specified groups, like parents or college students. Using these tools can help give a video a wider reach, and track its effectiveness with their analytics tools. Using a fixed cost-per-thousand views style of campaign, marketers can tailor campaigns to any budget without sacrificing effectiveness. Facebook is a great canvas for advertising, and the rapid growth of their video platform shows off opportunities to engage users in a different manner than YouTube does. The time is particularly ripe for app marketers: COO Sheryl Sandberg said at Facebook’s 2014 Q4 meeting that 65 percent of the site’s video views come from mobile devices. Implementing a video ad campaign and augmenting it with incentives and virtual trials where applicable makes the opportunity even more enticing.